Tuscany is a region of Italy that is known for its picturesque countryside, attractive cities and rich art treasures. 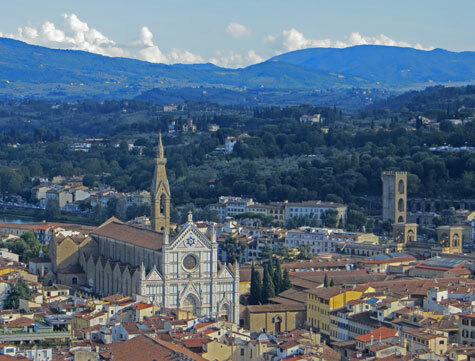 The capital and largest city in Tuscany is Florence. Visitors can hike to Michelangelo Square or visit world-class art galleries such as the Uffizi Gallery or the Accademia. In Pisa Tuscany, the world-famous Leaning Tower of Pisa is the top attraction. Other Pisa attractions include the Pisa Cathedral (Duomo) and the Saint Matteo Museum. Siena Tuscany is a Medieval city comprised of narrow streets and a beautiful city square. Most visitors to Tuscany arrive at either the Florence International Airport or the Galileo Airport near Pisa. Passenger rail service is available from Milan, Rome and elsewhere. Excellent hotels and guest houses are available throughout Tuscany.